Is your employee engagement close to the average of 33%? Does the entire management team reflect these two core values? All the time? Are some of them trying to fake it? (Trust me - they are not succeeding.) Are some of your executives so task oriented that they come across as uncaring? Do you realize the cost you are paying for 33% engagement? 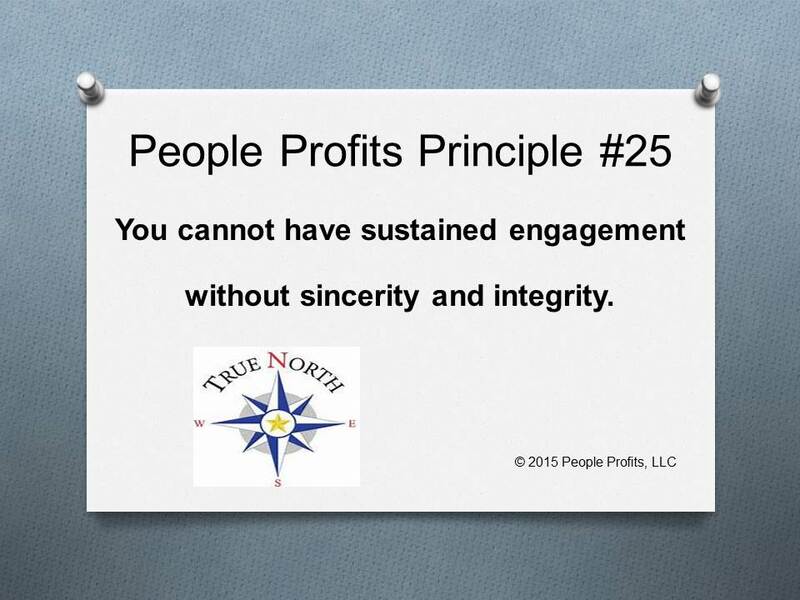 There are certain requirements for sustained Employee Engagement - two of them are sincerity and integrity. If your employees do not see your organization as having both of these - sustained engagement is impossible. Even if you do everything else right, long standing employee engagement will not happen in the absence of these two values.